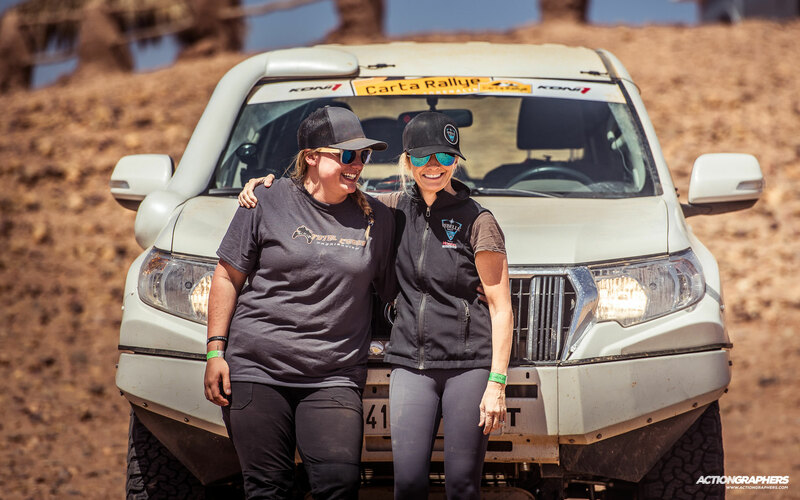 Emily Miller, founder of Rebelle Rally, returned to Morocco after a few years to participate in the Carta Rallye. Along with Lilly Macaruso, Emily showed all his qualities of driver triumphed in this new experience. This victory goes to enrich the long and prestigious palmares of Emily Miller. Carta Rallye: a dream that has become reality! This is the Carta Rallye for Chris Armelin. 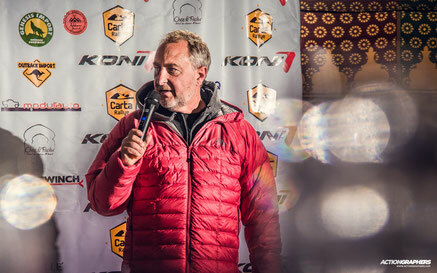 Chris is one of the best-known European figures in the offroad world and was part of the organization of the most important races. His desire was to create a competition in his own image where beyond the competition there were the values of passion, friendship and solidarity. With Carta Rallye he has done all this. Since its first edition in 2014, the Carta Rallye has always grown to become one of the most important competitions in Morocco. 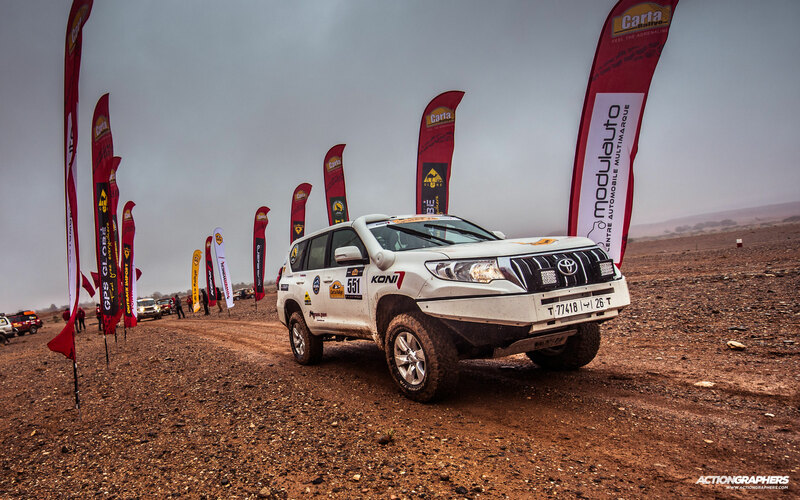 Every year the race course is always different and brings the participants into the real Morocco through unique places and landscapes and through the traditions of this beautiful country. The 2019 edition of the Carta Rallye took place from 31 March to 6 April, departing from Boudnib, 100 km north of Merzouga, and ending after about 2000 km and 7 days of competition in M’Hamid: last bastion of civilization before entering deep into the Sahara. This year, among the participants in the Carta Rallye was also the Californian Emily Miller with Lilly Macaruso as co-pilot. Emily, founder of the Rebelle Rally (the first women’s navigation rally raid in the U.S), is not only a talented driver and teacher, but is a true force of nature in love with life, the world of motorsports and her profession. 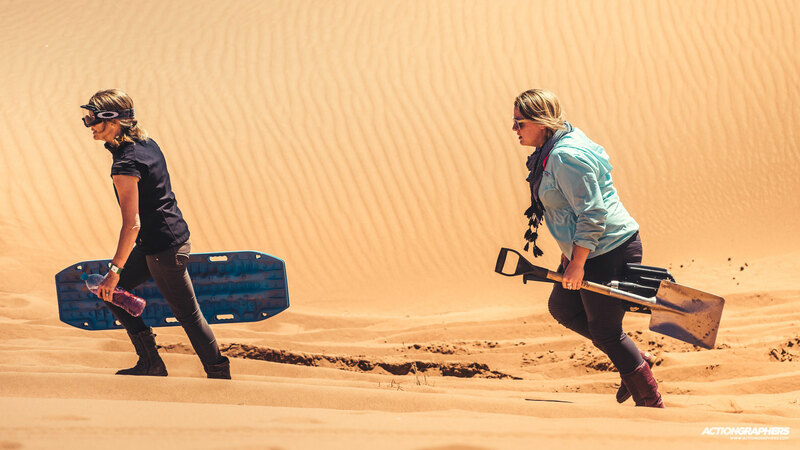 The desert and the dunes are the natural habitat for Emily Miller, since the first day of competition she found the right feeling with the tracks and the sand of Morocco. Emily and Lilly made a perfect race: they dominated all the stages in the GPS category (the other category was the Cross Country) winning the 2019 Carta Rallye. I interviewed Emily Miller to learn from her words all the aspects and emotions of this beautiful experience. - Emily, when were you for the first time in Morocco and for what? The first time I was in Morocco was in 2009 to compete in the Rallye des Gazelles. - Have you been back in Morocco before the Carta Rallye? Since then, I competed several times and then helped American teams compete in rally in Morocco. - What fascinates you about Morocco? I love the country and the people. Interestingly, the terrain has many similarities to the U.S. But, I believe what fascinates me is the architecture, design, and history. - What made you decide to participate at Carta Rallye? I wanted to compete in the Carta Rallye for a number of reasons. First of all, I miss competing. I am competitive with myself, and like to push myself hard. Since starting the Rebelle, I have spend so much time building the rally that I really needed a vacation but didn’t feel justified taking the time off and just relax. A competition is what I needed for my soul. Also, I knew the Carta would help me stay connected to the mind of the competitor. When your focus turns to promoting a rally professionally, it is extremely important to not forget what the competitor goes through, what is important, the challenge, the course, the communications, procedures, etc. I chose the Carta, because I liked the format, the location, and the organizer believes in the global rally community and has been a great partner to the Rebelle. - With which car did you race and how was it modified? We competed in a stock Toyota Prado 150. We gave her a name because she was truly our third teammate. Duchess Mo-Rockin! I drive a car in America that we nick-named “Princess,” because she looks like a Princess but is an incredible machine developed by Total Chaos Fabrication who specializes in Toyota and Lexus suspension. So Duchess was more stock, but still felt like a royal ride. We actually rented her from Atraxion 4x4 in Marrakech and they did an excellent job preparing her. She had extensive skid plates, an ARB front bumper that was trimmed perfectly, Total Chaos Upper Control Arms (shipped from the U.S.), and BFGoodrich AT/KO2 tires. For the night stage, we used Lazer Lights. The Carta was truly a great test of this stock vehicle. - Who was your co-pilot? My co-pilot was Lilly Macaruso. Lilly just graduated from University with a four-year degree in high performance motorsports. She is an excellent mechanic and works with us on the Rebelle Rally. This was her first rally, but she worked hard to prepare for the challenge, learned our Trail Tech GPS system, and studied our Rebelle online navigation class. We were an excellent team. I love being part of a team. It challenges you to face not only your strengths, but your weaknesses. We made decisions well together and quickly, and didn’t dwell on mistakes. We learned from them and would apply them forward. The Carta took the GPS Cup and split it into 3 classes this year. We were in the Explorer Class because we didn’t have a roll cage. They were concerned for safety as several cars rolled in the dunes the previous year. For the first portion of the rally, our classes seemed very similar. The second half of the rally we had many more checkpoints than the Expert Class which presented several challenges. What we found is that the pace was very fast, and we pushed hard to try and get as many CPs as we could. Our first 5 days we pushed and pushed, and the final two days we played it more carefully to not make a mistake or break the car. By that point, it was ours to lose. We found we had to make fast time when we could, but slow down enough when it counted to make smart navigation decisions. It was a combination of fun tracks and then completely off-piste to stay on exact heading. The trick was to decide quickly when which tactic was necessary. Honestly, the speed we pushed the Toyota when we could was full offroad race pace. 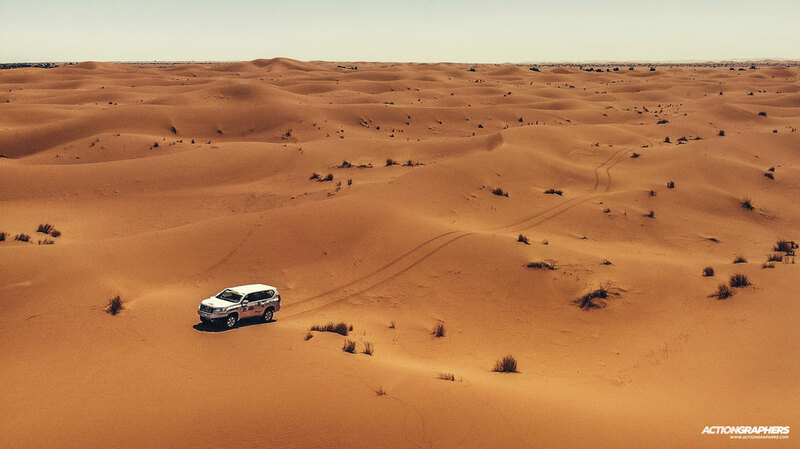 We had hoped to drive more big dunes, but due to the sheer number of CPs equally valued, some points were not on strategy and would have taken too much time to complete. - There are differences between the Moroccan deserts and those of west America? And the sand dunes? It is amazing how similar the terrain is. The biggest differences in the deserts between Morocco and America that I see is the scale. The deserts of the U.S. surprise people because the distances are so deceiving. The valley floor can be at 500-1000 feet above sea level, and the mountain peaks at 7,000-11,000 feet but in Morocco, the scale is not as big and things are closer than they appear. In the US, farther than they appear. Also, while the dunes of Merzouga have tall peaks, the dunes of Glamis are much longer in distance, and remind me of Chegaga. However, these are subtleties, not big differences. - Would you advise American drivers to participate in the Carta Rallye? And why? I think the Carta is an excellent rally for Americans to try. The organizers are kind and easy to work with. The pace is fun, and there are choices between competing in GPS Cup or Cross-Country with roadbook. The Carta Rallye is an excellent value, price-wise. Overseas rallies can be extremely expensive, but the entry fee is VERY reasonable and you get a lot for the price. - What atmosphere did you find in the bivouacs? The bivouacs were great, well organized, and felt very connected to the Moroccan culture. Each one felt different, which was part of the fun. The food was good, coffee was strong (thankfully! ), and the staff and competitors nice. - What memories do you have of this experience and who do you want to thanks? I want to give a very special “thank you” to our mechanical service team. Each night, we would pull into the bivouac and turn our Toyota over to Said Nassir of Ali Nassir Garage in Zagora. He and his team were a real highlight for us. They treated us like family and we loved coming in at the finish and spending time with them. They are all local Moroccans and can fix ANYTHING! They even organized a surprise party and cake for Lilly’s 25th birthday in the Merzouga bivouac at the Nomad Palace. Working with them will always remain one of my highlights from the Carta. One thing that I want to point out is the importance of knowing your GPS systems, the different data sets, and navigation principles. I work with and teach GPS information, but I loved being pushed to learn different applications, the pros and cons of various systems and apps, etc. We used Trail Tech GPS with North Africa maps installed, along with two iPad tablets. One iPad served traditional paper maps from Morocco that we calibrated to be accurate with our location. The main iPad served the LeadNav app (developed by former U.S. Special Ops) with Mapbox Satellite Maps downloaded for offline use. Lilly would use both the Trail Tech and LeadNav to keep us on heading with the “Go To” feature, and I would keep my eye on our Trail Tech for heading, and the paper maps for reading features. 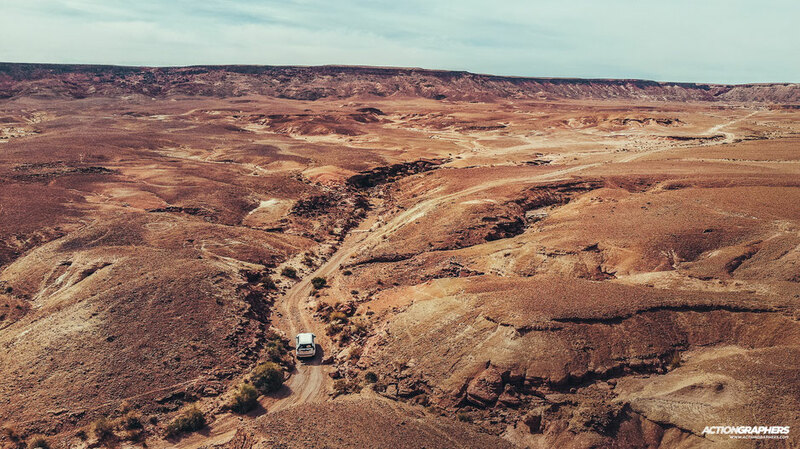 The Carta was a great experience for me professionally as we prepared and were forced to become very quick and more skilled with our GPS information and operations. Another thing we found funny is that people seemed surprised that we used an old school compass. But it helped us immensely to nail decisions quickly. You can point your vehicle in the direction of your heading, but nothing still replaces the spot on, dead on sighting of our Suunto. On the surface, you might think it would slow us down, but nailing your location is much faster than having to correct mistakes due to incorrect choices. - Among your professional successes, you are the founder of the Rebelle Rally, the next edition will take place from 10 to 19 October. Can you give us some anticipation? OH! The next Rebelle is full of surprises! What we love about the Rebelle is that each year the course has some differences and keeps competitors guessing. The course is a secret, but I can promise that the terrain will provide plenty of challenges, and it will definitely be beautiful. 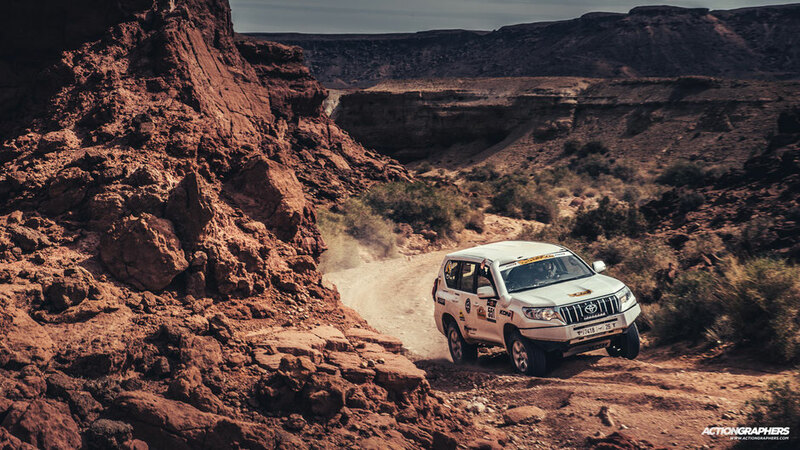 The Rebelle Rally covers more than 2,000 kilometers of stunning terrain across the Nevada and California desert. It is designed as a hybrid of serious competition and the ultimate road trip. The Carta Rallye was born in Morocco in 2014 thanks to Chris Armelin. Spread over a large part of the South East area of the country. Hence its peculiar characteristic of being the African competition with the most beautiful landscapes and the most technical special stages. The race is in strong growth and this is demonstrated by the fact that the participants from the first edition to today have almost quadrupled. 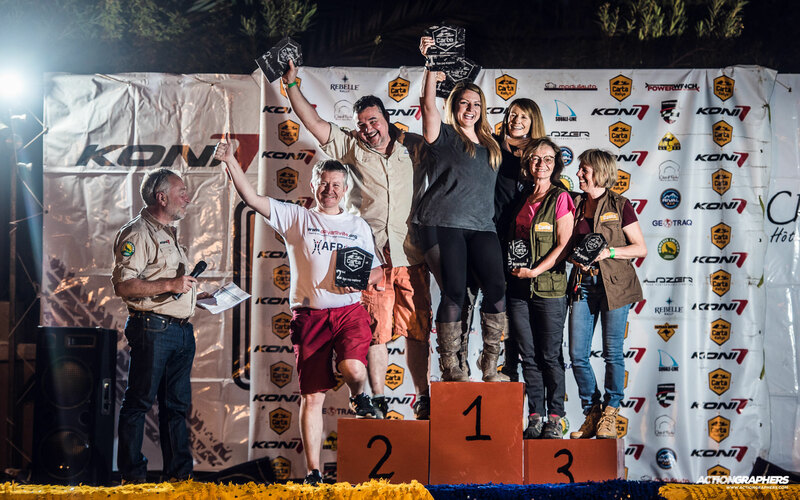 The spirit of the Carta GPS Cup is to offer all competitors a unique experience. This is neither an old-fashioned navigation event (map + compass) nor a speed event. It's not just about driving straight between GPS points and to make the least possible kilometer. You will have to plan, read the terrain, make strategic choices to find the best options to manage your time and distance. The GPS category has existed since the launch of the Carta Rally in 2014. After 5 years of experienceand feedback from competitors, we decided to create the Carta GPS Cup with its different categories. All participants of the Carta GPS Cup and Cross Country meet during bivouacs, hotels, meals, briefings, award ceremony, and will benefit from the same professionalism of the organisation team.